Zoho CRM has taken the entire sales world by storm. The Zoho Corporation as a multinational company released their first SaaS app and the Writer CRM solutions back in 2005. It has moved a long way since then. Initially it was believed that with the all-comprehensive sales alternative solution, the Zoho CRM can compete in the global business environment by diversifying channels and monitoring major prospects. With a single sign-in option, transforming the interoperability features which are contemporary and up-to-date, Zoho CRM in the first few years of its launching really catered to the dreams of world investors. Both small and large scale companies utilized Zoho for sales, marketing, project collaborations, business processes, finances, IT and help desk related issues and also for the optimum channelization of major human resources for company benefits and aggrandizement of sales profits. The landscape for cloud-based CRM apps were contrived by some of the most astounding software designers in the global market to come. There were both the free and the standard edition of the Zoho sales CRM that worked in consonance with the upgradation and scalability of multiple business needs. Similarly, there were others like the professional and the ultimate editions which worked the best for surveys and sales reports. Although initially when the zoho CRM was launched, there were positive aspects that were enjoyed by all, as time moved on, integration and restoration of vital client information and database became complicated. A major portion of the Zoho users reported about the occurrence of bugs that defied any form of major integration, and the response time for channelization of customer support was also too long in many cases. Often reports also pointed out categorically how Zoho CRM software created major debunking of social projects, survey reports, campaigns and the urgency to jump from one platform to the other. Lack of cohesion of data and the right integration has made Zoho one of the most notorious CRM solutions now, with companies not acting to value it anymore. Although it initially allows almost 10 sales professionals in the company to use it as a free version mode, there are cases where even in these free versions, customers and end-users face loading problems to the greatest extent. 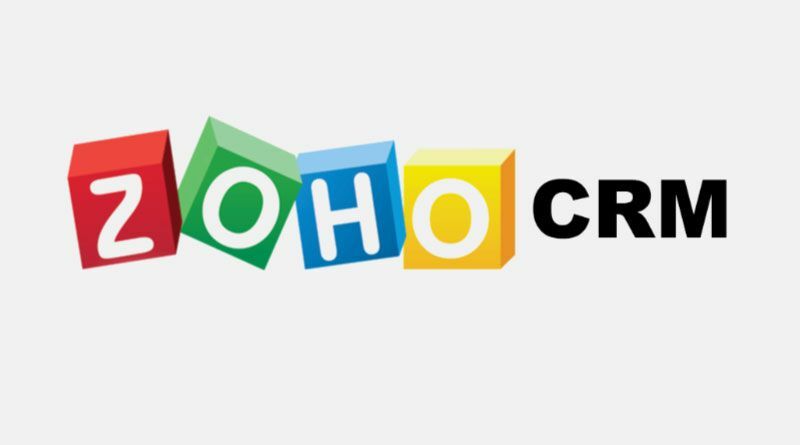 Moreover, campaign management and core marketing suffers a lot after few years when even small-scale businesses set up Zoho as the CRM alternative. With the Zoho CRM, you often fail to get the desired customization that you need for your company solutions. The Zoho software fails to give you tailor-made solutions as per the profitability quotient of your business and with that obviously, you fail to get the company’s custom reports as required and also get some additional modules for better on-site improvement. With the required functions that you need to master the additional information from Zoho, then you need to purchase several categories of plan. If you want modification and customization, then Zoho will let you take up the most expensive versions with even $35 per month costing, offering you very less profitability. Creating campaigns, adding campaign details, start date and end date all can be integrated well in Zoho, but if it fails to load, you need to pay extra to get the smooth company functioning done. In addition to that, balancing of loads and auto provisioning of sales methods are also not available with Zoho. When you need cloud software that has on-demand capacity, then Zoho is not the best solution. If you are really contemplating about whether you have done a mistake by installing Zoho alternative, then the answer is yes. With Zoho CRM, the user navigability decreases to a large extent, because the zoho interface is quite clumsy. For the user, who wants to go through the major information, it becomes quite tedious to go through multiple steps to perform the simplest of tasks. While making a sales funnel, you have to be very careful to actually attract customers toward the mouth of the funnel so that in the long run, then can be transformed into potential buyers. However, with the Zoho software system, what happens is just the opposite. The navigation is clumsy, accentuating risks of management, reporting, and searchability quotient which are slow to load and quite difficult even to use. What suffers is business process automation. It is an unclear solution, and the working process is equally vague. As far as definitive sales stakes are concerned, you cannot fully depend on Zoho for market integration, market execution and creating veritable roadmaps to chalk out your business plan. In short, Zoho is not the best option as a social CRM, and it hinders business process automation. The Zoho CRM fails miserably when it comes to process invoice products in forms that are quite reasonable. Zoho Books and Zoho Invoice are those which can be said to occupy reliable data model integration initially, but with the passage of time, and with company workforce expansion and work pressure, it cannot produce an intuitive design and appears to come from programmers and essentially who are not practitioners of the data model. This creates real-time problem for data managers who initially think that Zoho is the ultimate neutral territory for a number of global businesses. Hosting and maintaining this system for a number of cloud intervention techniques ultimately channelizes no returns when it comes to the company treasure and audit balance reports. With shrinking budgets for the company and excessive efforts on the Zoho app, what ensues is a complicated way of customer modulation. This allows customers to get repelled by the unusability of this CRM, often enhancing the cost of migration to another system, or applying for retooling. This becomes more complicated when it is about companies that deal with supply chain management. While some of the worst aspects of Zoho CRM can be managed for small and intricate business networks, it does not work at all when it comes to have the flexibility of configuration or middle or large scale business houses. Although when it is purchased and installed by any company, the company promises a plethora of advantages in the portfolio, when it comes to actual usability, the Zoho sales alternative lacks any such extra features that are available in the products of its competitors. This hampers any meaningful integration and the company fails to face competition from other market competitors when it comes to harness better portfolio and technology for sales partnerships. Zoho as a CRM has not been able to carve out a distinct space for itself, when it comes to data integration and channelization of major software features for diverse market trends that keep on changing everyday. Finally, with the Zoho sales CRM software, what you find is a reduced flexibility, poor navigation and a tool that is less scalable to major human needs. For successful lead assignments for example, the Zoho CRM does not offer any advantage. So overall, it will be a huge loss of time and money if you want to run your business with Zoho.